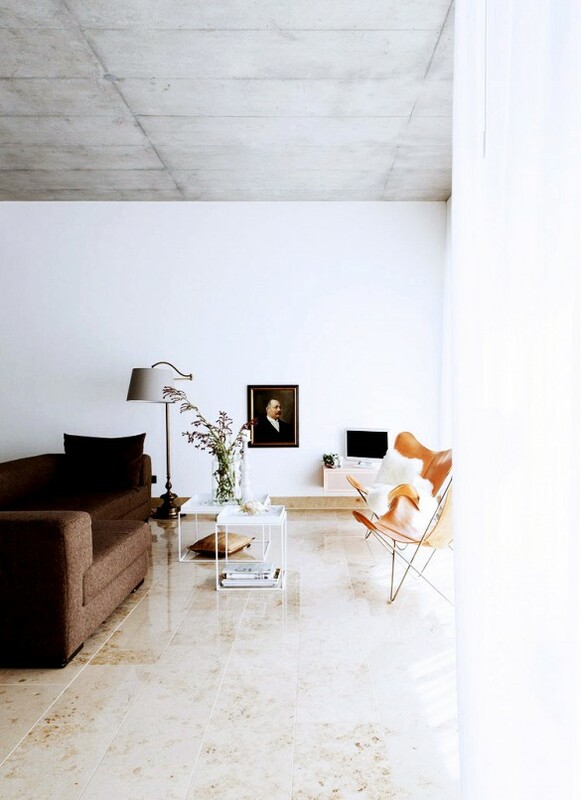 Is it just me, or is one of my most favorite chairs making a resurgence? 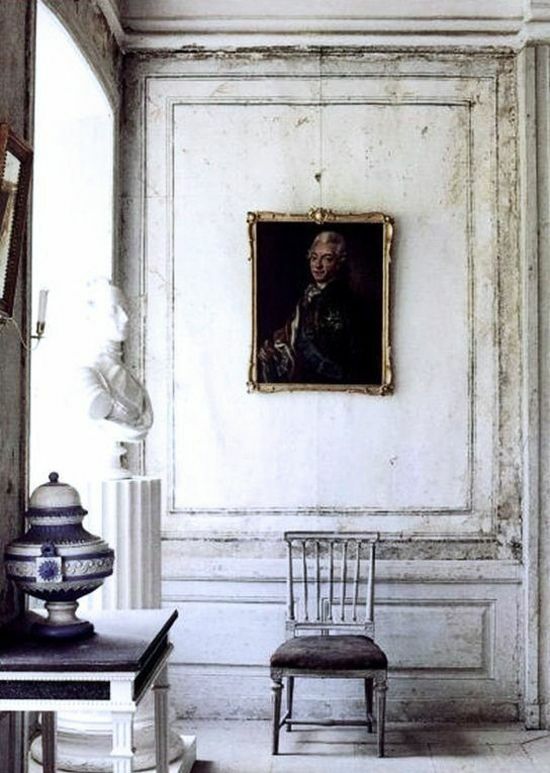 For years I've always been a super fan of Louis XVI chairs. And when they're upholstered with something striking like a black leather, I take notice. Lately, I've seen them on (or should it be in?) several house tours. What gives, is it just me who's noticing? Not to be a total copy cat, but I am ready for a real dining room, so that I may too set these around my table. 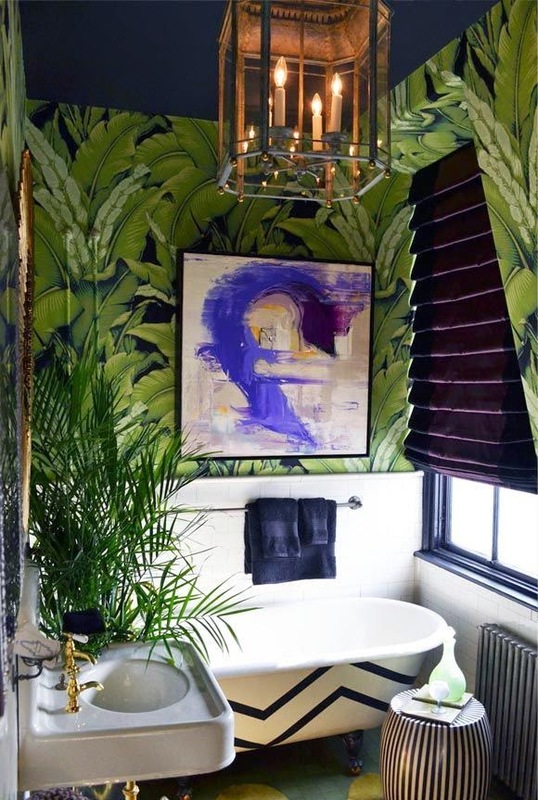 How I love their traditional, masculine, chic nature. And if you break it down, the black leather Louis XVI chair is the perfect embodiment of my style in chair form... classic with an edge. Don't they always say it, that history repeats itself and trends reappear. In the words of Iris Apfel "If you hang around long enough, everything comes back." These black leather Louis chairs have been around for a long time, Albert Hadley, often used them in his designs, and now, Nate Berkus keeps this style in his back pocket too. Aren't they fabulous!? Hey winter, are you done yet? I'm so over you! How about we lighten the mood in New York by moving on to something that conjures up warmth, sunshine and the beach... something that has made me excited for Spring and Summer and VACATIONS! 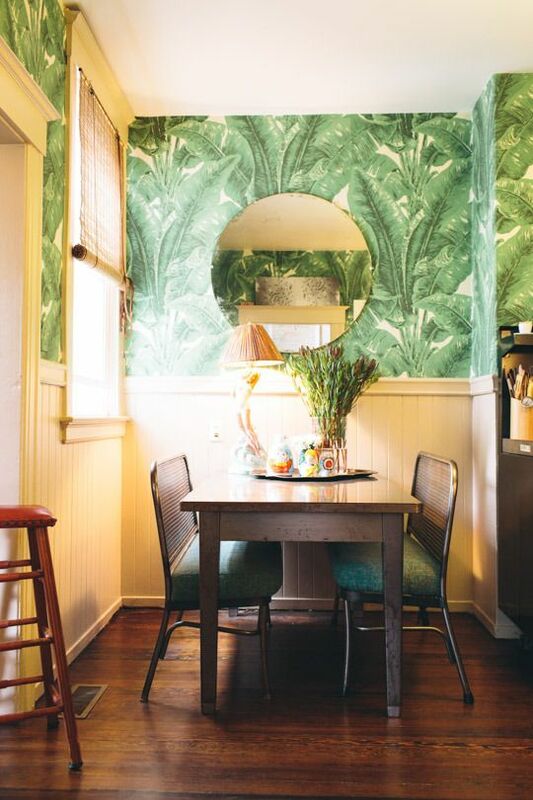 I wrote about the Martinique Wallpaper a few months ago, but recently I've had an obsession with the real thing - yes real live palm trees. They're gorgeous, bold, seductive and make me long for visits to warmer climates. 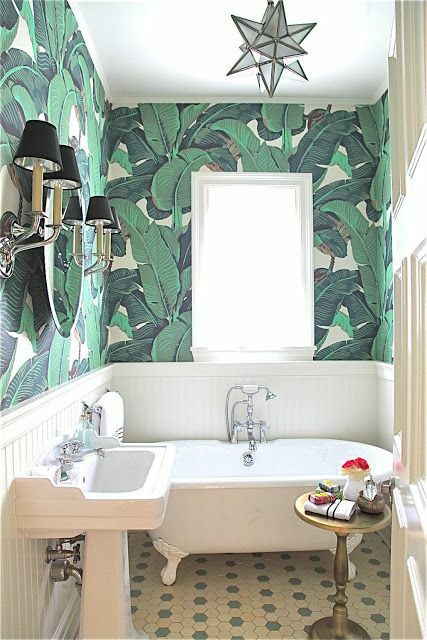 One night I just binged on palm tree decorated interiors on my Pinterest feed (sparing my followers by pinning to secret boards), but still pinning almost anything and everything palms. Then I finally decided to move on to something a little more productive, like planning my next vacation. I'm that we'll be seeing palm trees in their native environments, very soon, wherever we end up. 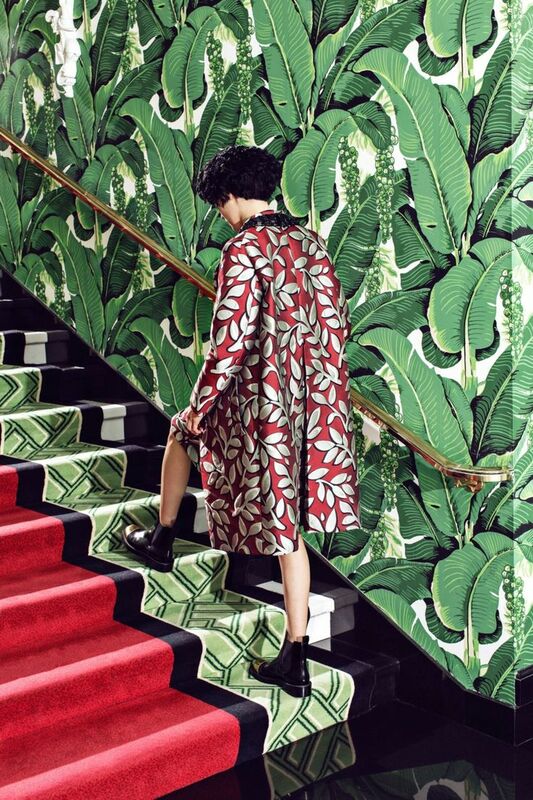 All longing aside, palm trees and palm leaves are really having a moment, and it's not just the Martinique pattern by Hinson or the The Brazilliance print by Dorothy Draper. 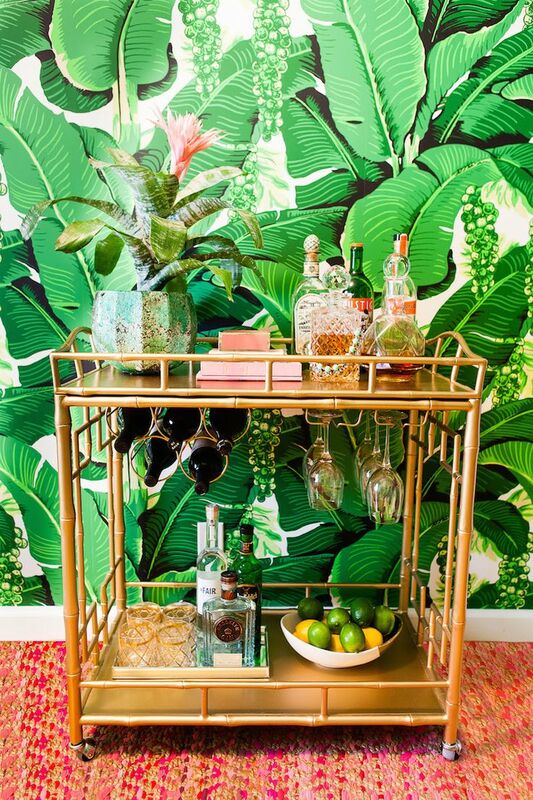 They're the next big house plant after the Fiddle head fig plants and they're also being interpreted chicly in many different wallpapers and fabrics. 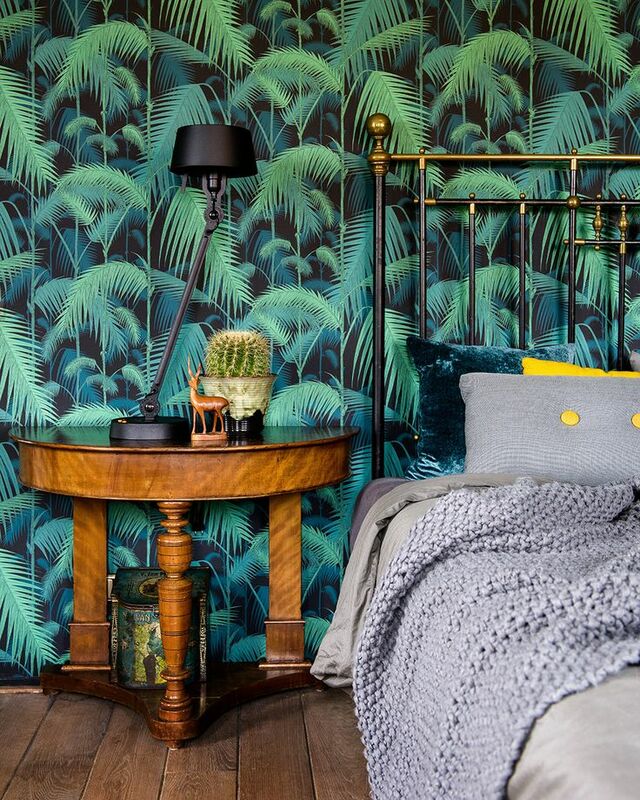 A new favorite around the decor world has to be the Cole & Son Palm Jungle. Used in many colors ways, it works in bathrooms, dining rooms, bedrooms, kitchens and even large event spaces, like the gorgeous Brooklyn venue 501 Union. 501 Union also happened to recently host a beautiful wedding with tropical inspired arrangements, featuring palm leaves designed by Putnam & Putnam. 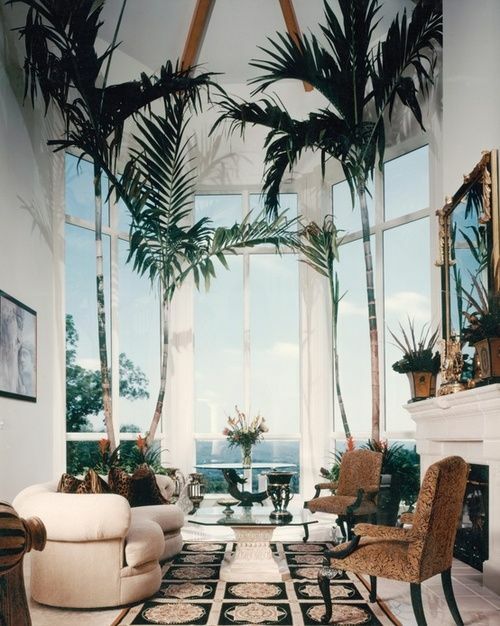 Other beautiful palm decor elements in vogue are brass sculptural palms, some of which are light fixtures, all of which, gorgeous. All I can say is I want, I want, I want... 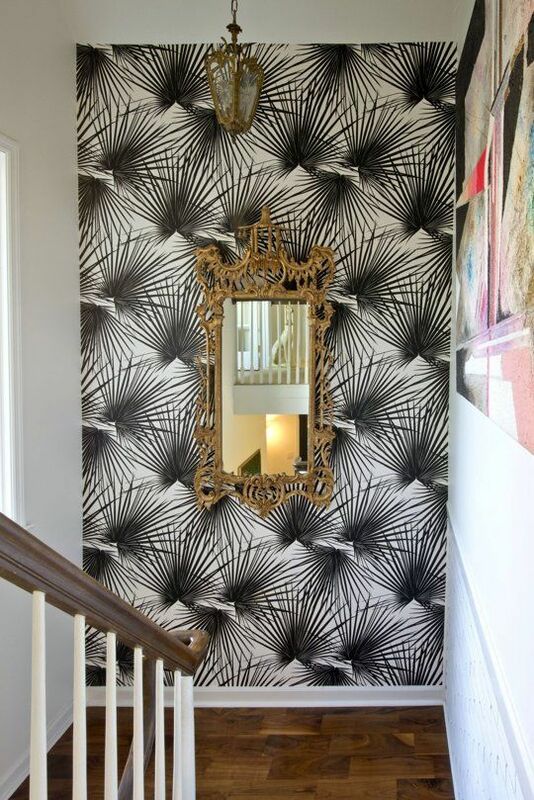 I want more space so I can wallpaper some walls with palm papers, I want brass palm tree sculptures, I want palm tree arrangements and most importantly a palm tree plant! What do you think, are you all feeling the palm movement? I've recently had several discussions with friends and acquaintances about how the rosy metal finish of copper is creeping into event design and interiors (mostly in seen kitchens and decorative accessories). Copper pots have long been a standby but the once too rustic or country finish is making a comeback in a more sophisticated and appealing approach. I would credit some of this comfort of the finish to the recent love of brass that came about over the past few years. 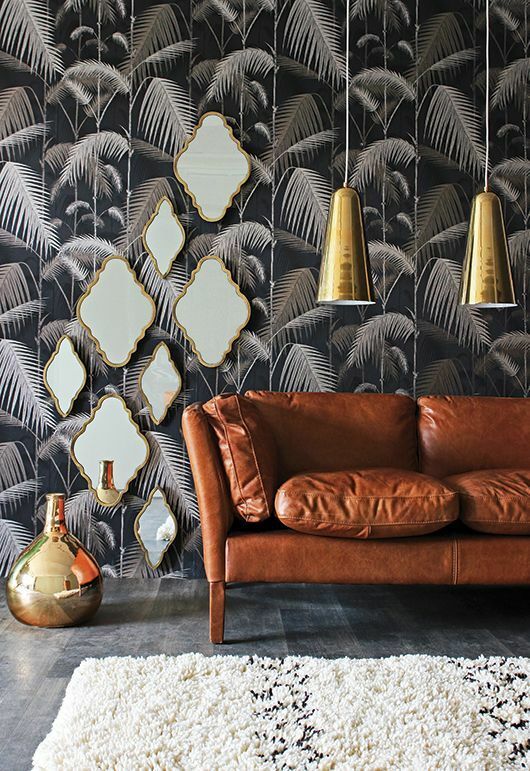 With the quick turnaround of trends recently, people are clammering for the next best thing, which in turn leaves us to pine for something different. But when you really think about it, there are only so many metal finishes, and most importantly there are really only two tones - warm or cool. Luckily, going forward, I don't think any can be entirely out of fashion as we once projected. My mother loves to use the example of how, when they moved into their house in 1987, Stainless steel was so OUT and looking back over the last 10 years, Stainless Steel appliances were EVERYTHING. I think now it's about a mix. It's not necessarily in fashion to go with all one or the other but to create a smart mix of materials that pair well together. Adding subtle accents of copper will add an extra layer of warmth to your existing cool toned stainless steel appliances, or a touch of romance to table setting at parties and events. As I'm slowly finishing my kitchen (if you follow any of my social media platforms you've seen that I'm unapologetically obsessed with my 35 sq. ft marble backsplash that was installed last month - still not finished, the grout is awaiting it's set) I've also started to slowly invest in 'over 30' accessories, which include an English Simplex copper tea kettle & brass and copper mills (happy finds on Amazon). 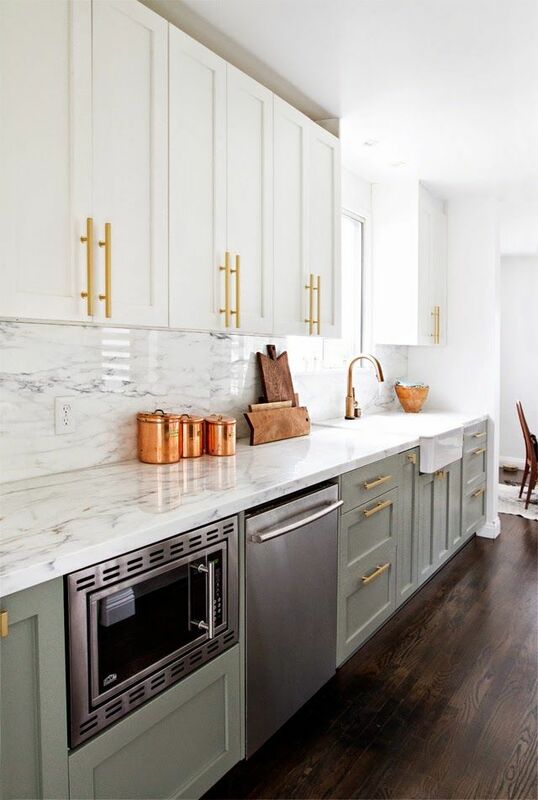 I'm really excited about how the progress of this space, the back splash gives it a more sophisticated look and the copper accents are warming up all the stainless steel, grays and whites. it's taking an especially long time, I know. I am more eager than anyone to finish it! Additionally, I'm dreaming of the day when I can finally invest in a new oven and range. I'm not quite sure what that will be, but there are some dreamy options that are not all one finish of stainless steel, black or white. I especially am loving the Lacanche ranges that pair brass knobs, stainless details with a solid colored cooker (I'd go with white, black or anthracite for my kitchen). Hopefully soon I can do a full kitchen reveal but for now you'll have to enjoy the above teaser. Want to see the before photos of the apartment, follow this link to what it looked like when we purchased this apartment. A lot of people are talking about the best trends of 2014 and the list seems to be quite long. Which I find interesting, considering home tends to be slower than fashion with trend turn around. 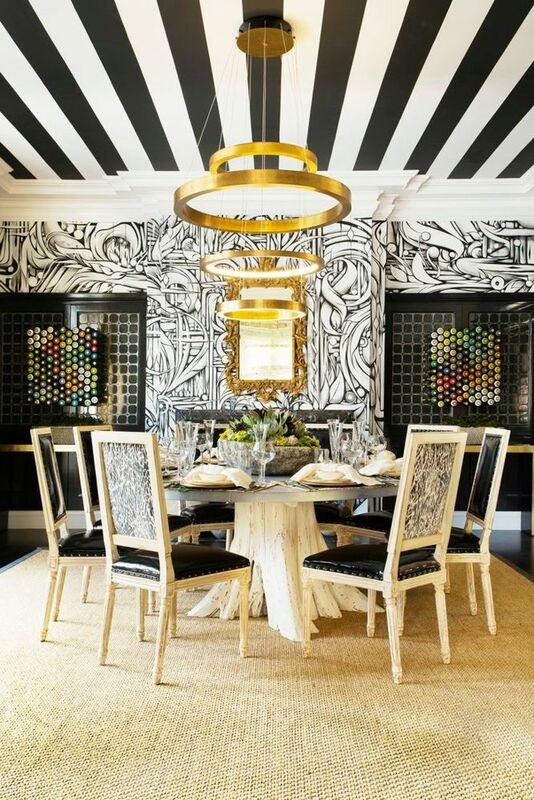 Some of the featured trends are design characteristics that have been around for a while and will remain for the next several years. In 2014 there were a few very strong stand outs and Domaine Home compiled a good list. Have you seen it? 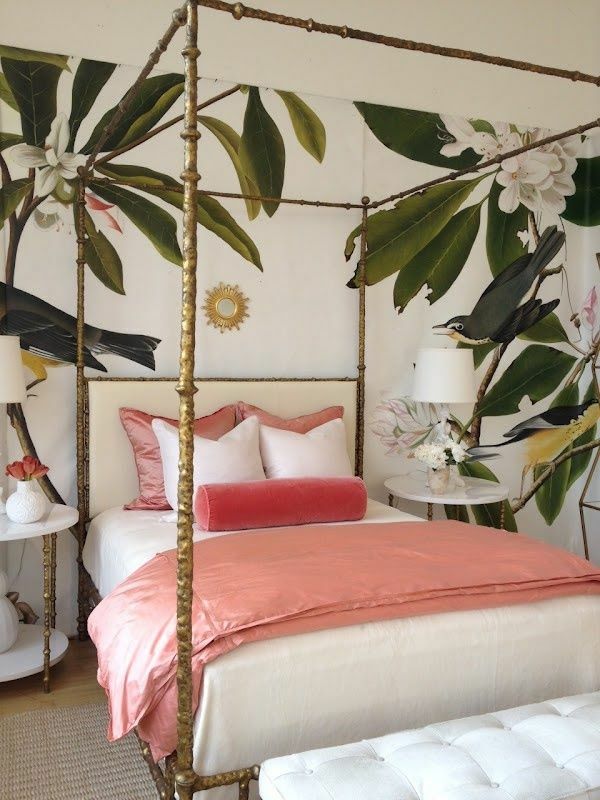 After reading through would I definitely say that I had a few favorites - I assuredly have felt myself swoon for some trends and have even had the inkling to incorporate them into my home. Below are my top three. Do you have any favorites? I'd have to say at the very top of my list is the new found appreciation for classic portrait paintings. For centuries portraits have been around. They're the original family photo or in some cases, selfie - just so much more elegant. Someday I hope to have a few precious portraits of my own for our home, until then I'll have to continue to saving and swooning. I have to say, this makes me a little sad to learn that it is actually considered a trend. 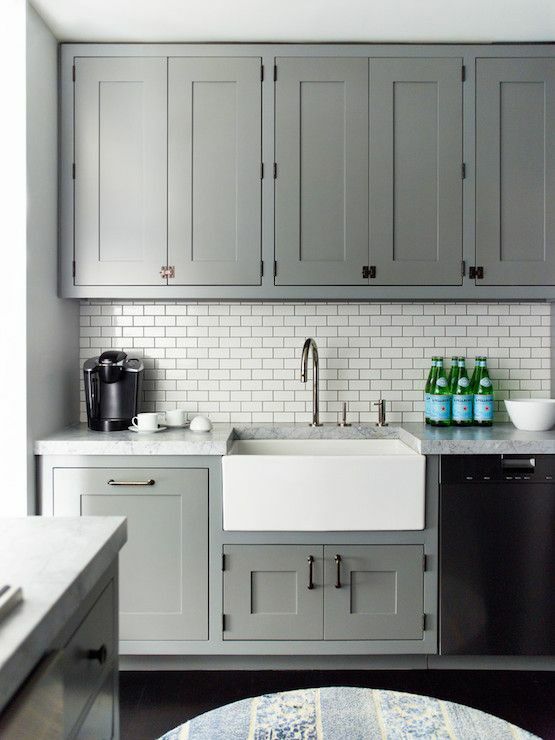 I guess it's a good thing that I can't paint my cabinets because I for sure would be doing a version of this, with white Carrera marble countertops and backsplashes, brass hardware and lets throw in some chevron oak bleached floors... Dream kitchen can I say? I first started falling for neon signs when we made a trip out to Portland and Seattle several years ago. On the east coast neon storefront signs are far and few between, at least up until recently. So for us to see stores with the quirky and sometimes clever signs glowing in neon was a real treat. Just recently, they've made their way inside the stores as new uses for signage as well as inside residential interiors. I'm not sure if I would put any into my home, but I definitely still enjoy the look. I'm curious about what this coming year's trends will be. I wonder if the Pantone color of the year will have any effect on interior trends? I doesn't seem like last year's Radiant Orchid found it's way into the top trends. I would say, possibly the mood of the color more so had an effect on trends - it's bright, feminine and young, which were similar to characteristics of other trends - take neon for example. Perhaps this year's Marsala will spike a trend in moodier, more mature and masculine interiors? Happy Friday! It's officially Fall in New York and it's almost cool enough to start wearing some of the seasons best new trends. A major trend this season involves piling on layers of plaid and flannels, faux (or real) fur, navajo prints, denim and fringe. It's all about the influence of the nostalgic American West. 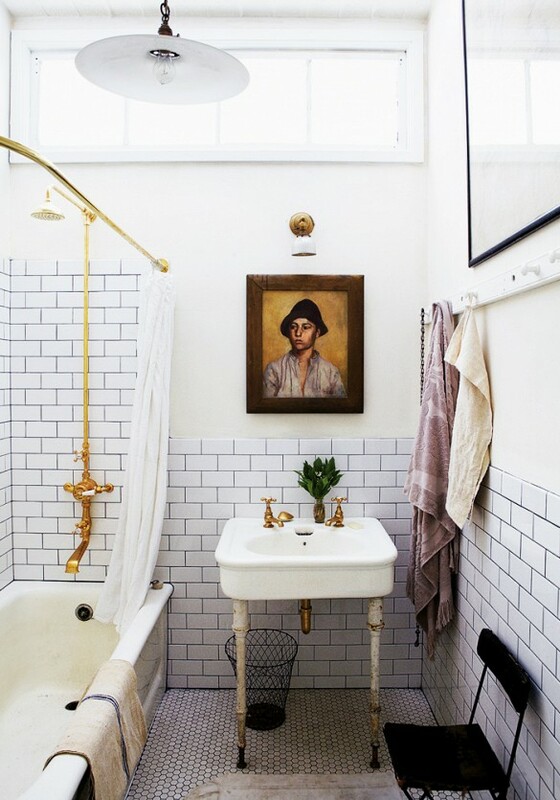 Equally embraced by interior design, subtle twists on these classic elements are also turning up in the most metropolitan places. Many Brooklyn apartments showcase flat weave patterned rugs inspired by the American West, others are hanging tapestries and dream catchers. I may not be a huge fan of the movement but I still very much appreciate inviting some of these elements into my home. I am the first to admit that I could kill (a bug) for a Pendleton blanket to throw on the couch. And yes, I have a few plaid or checked shirts in my wardrobe. I've herded together some of my favorite pieces this season that when paired properly will find their way into your permanent lifestyle. Enjoy.